A list of builders, shops, and luthiers with which we have and do work for, present and past, and to whom we owe endless thanks. 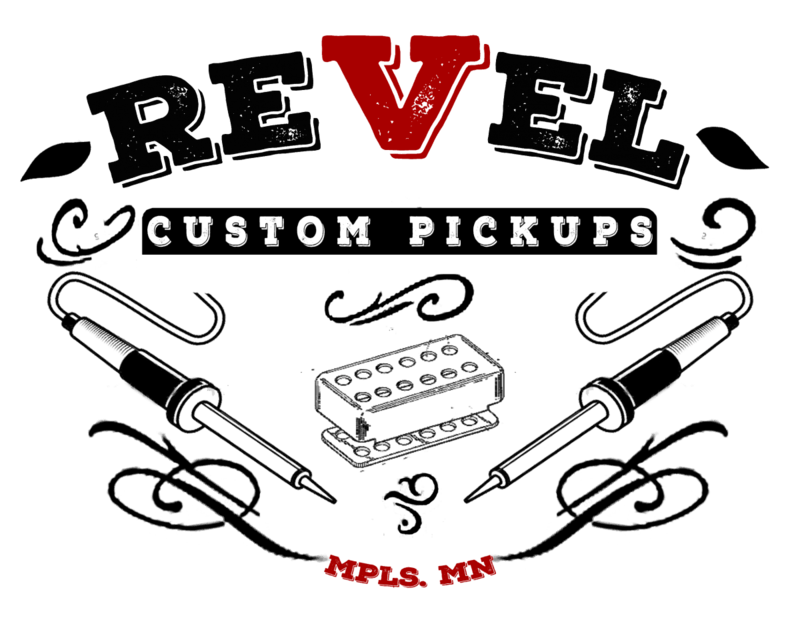 Want to work with Revel Custom Pickups? Contact me and let’s do this. Superbly handcrafted electric guitars by Chad McCormack in North Berwick, Maine. Here at Bruni Guitars we lead. One way. Our way. Carefully. Patiently. And entirely by hand. It’s the only way we know. The Craftsmen at Bruni draw on decades of expertise and passion for all things guitar. We use only top shelf tone woods, cut and carved by hand. With rasps. With chisels. Sharp things. Sweat. I’d like to invite you to click around the site a bit to get a fuller understanding of who I am and what I do, and to check out some of the talented bands, musicians, and songwriters I’ve had the privilege to support! Please be in touch if you or someone you know would like to enjoy their instrument at its very best — thanks, everybody! We’ve travelled from NYC to LA in search of the finest, hand-built, heirloom quality amps and guitars, and selected our personal favorites to share with you! We offer a retail experience like no other—appointment-based service, private equipment auditions and week-long try-out periods. We look forward to helping you find your truest tone! Custom guitars and repairs. Every Whalehazard guitar is handcrafted with incredible attention to detail and meets exacting standards of quality. Each instrument is built in South Minneapolis by Andy Webber. As a one-man operation, great care will be taken to make sure your custom guitar will take your playing and sound to a new level. All materials and components are carefully selected for quality and longevity. The Guitar Shop is a musical instrument store and concert venue in Rosemount, opened in 2012. We specialize in acoustic and folk instruments: guitars, ukuleles, banjos, mandolins. The showroom area will feature new and used guitars for the beginner to advanced guitar player. Experienced Guitar Repair done onsite. The Guitar Shop offers Guitar and Piano Lessons with choices of full theory with reading music as well as a more casual learning by ear approach. My name is Brian Stewart, my wife, Brenda and I are the owners of Tree Strings, LLC; the premier guitar shop here in Red Wing, Minnesota. We do all manner of guitar repair, set-up, customization, and offer both tube and solid state amplifier repair. I have an A.A.S. degree in Electronic Music Technology from Minnesota State College Southeast and a degree in Guitar Repair and Building. So, if your guitar has a crack, buzz, busted headstock, or any other ailment, stop in to The Red Wing guitar shop, Tree Strings! Instrument repair services in St. Paul, MN. Degree from Red Wing.